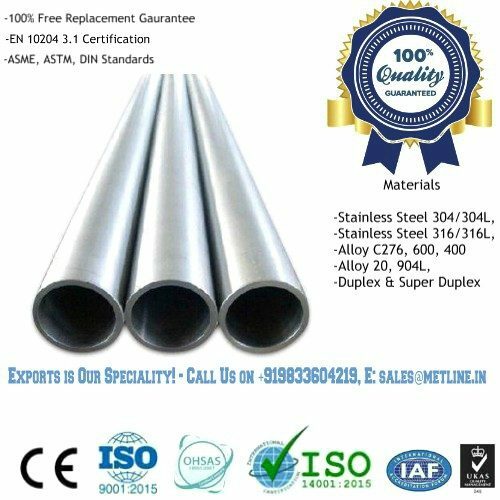 We are manufacturer of 316L 316 stainless steel pipes in a wide range sizes, surface treatment, and ASTM standards (A249, A269, A312, A268, A270, A554, etc). Contact our factory for the price! Metline is a specialized manufacturer and supplier of ss 316 pipes in India and overseas. 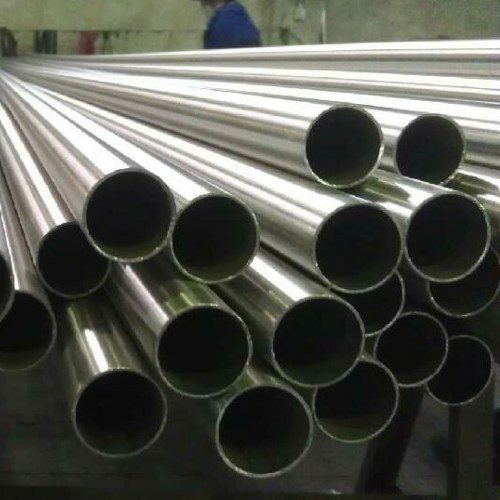 We produce and sell industrial stainless steel 316 pipes, architectural ss 316 pipes, ss 316 seamless pipes, and ss 316 seamless tubing in size range of 6mm to 1000mm OD. Contact Us If You are Looking to Buy 316/316L Stainless Steel Pipes! An international piping materials supplier, Metline welcomes you to send us your enquiries for stainless steel 316 pipes, fittings & flanges and allow us to partner in your growth. We can assure you the best quality products, with the most competitive prices in the industry. All pipes supplied by Metline are tested according to requirements of the appropriate standards. 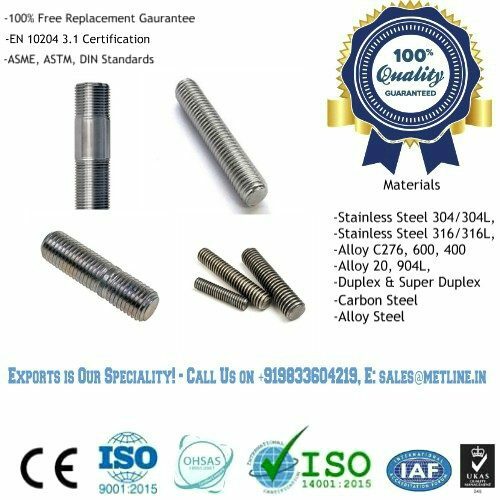 In all cases the tube leaking test is performed, and supplied with Test Certificates at per EN 10204 3.1 or NABL approved lab test reports. We focus on each and every customer with a personal touch, making us one of the top supplier of stainless steel pipes and a reliable business partner for all industrial buyers. Metline is one of the largest and most renowned manufacturing and stockholding company in India, supplying stainless steel 316L pipes as well as stainless steel 316L fittings and stainless steel 316L flanges. Given our extensive expertise and knowledge in stainless steel industry we can offer stainless steel 316L pipes, at the most competitive prices in the Industry. We are a wholesaler for stainless, acid and heat-resistant steel pipes, fittings and flanges with extensive stocks. Stainless Steel 316 is the standard molybdenum-bearing grade, second in importance to SS 304 amongst the austenitic stainless steels. The molybdenum gives SS 316 better overall corrosion resistant properties than Stainless Steel 304, particularly higher resistance to pitting and crevice corrosion in chloride environments. 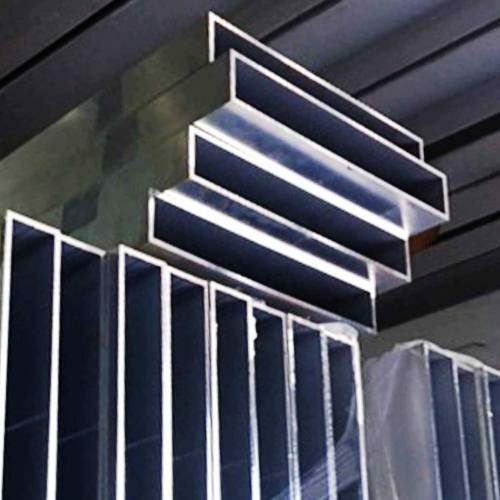 Stainless Steel 316 has excellent forming and welding characteristics. 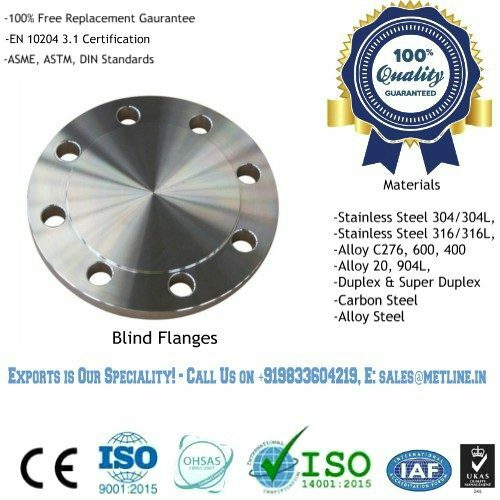 It is readily brake or roll formed into a variety of parts for applications in the industrial, architectural, and transportation fields. SS 316 also has outstanding welding characteristics. Post-weld annealing is not required when welding thin sections. SS 316L, the low carbon version of SS 316 and is immune from sensitisation (grain boundary carbide precipitation).SS 316H, with its higher carbon content has application at elevated temperatures, same as SS 316Ti which is a Titanium stabilised grade .SS 316N is nitrogen enhanced with greater strength than SS 316. Both SS316 and SS316L have exceptional resistance to corrosion against sulfuric, hydrochloric, acetic, formic, and tartaric acids; as well as against acid sulfates and alkaline chlorides. They are widely used in exhaust manifolds, heat exchangers, pharmaceutical equipment, cryogenic piping, valve and pump trims, chemical & petrochemical process, pulp and paper industry, and food industry, etc. Good oxidation resistance in intermittent service to 870°C and in continuous service to 925°C. Continuous use of 316 in the 425-860°C range is not recommended if subsequent aqueous corrosion resistance is important.